Thursday, May 5th, at about 3:30 PM, El Dorado County Sheriff’s Search and Rescue, Lake Valley Fire Department, Cal Fire, California State Parks and South Lake Tahoe Fire EMS, responded to Emerald Bay’s Vikingsholm on a report of a person in distress hanging on a steep cliff. Jane Rylander of Incline Village had been climbing in the steep cliff bands from Vikingsholm parking lot down towards the main castle of Vikingsholm. Jane slipped and slid down the embankment becoming stuck on the cliff band. She was not injured but could not climb up or down and was in the need of rescue. 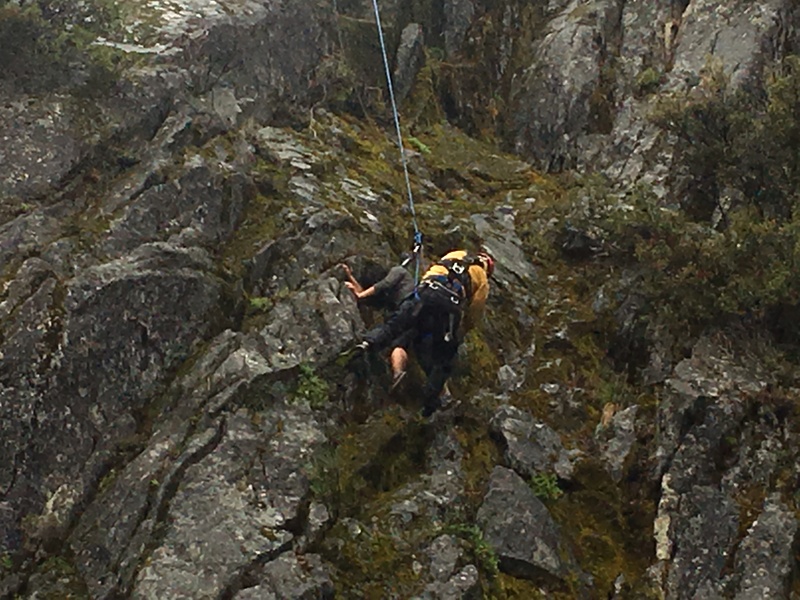 Rescuers used ropes to access Jane’s location where she was rescued and lowered down to safety. At the time temperatures were cool with scattered heavy rain showers. El Dorado County Sheriff’s Office wants to remind all outdoor recreationist or visitors to know their surroundings and remain in recreational areas established for tourism or sightseeing.